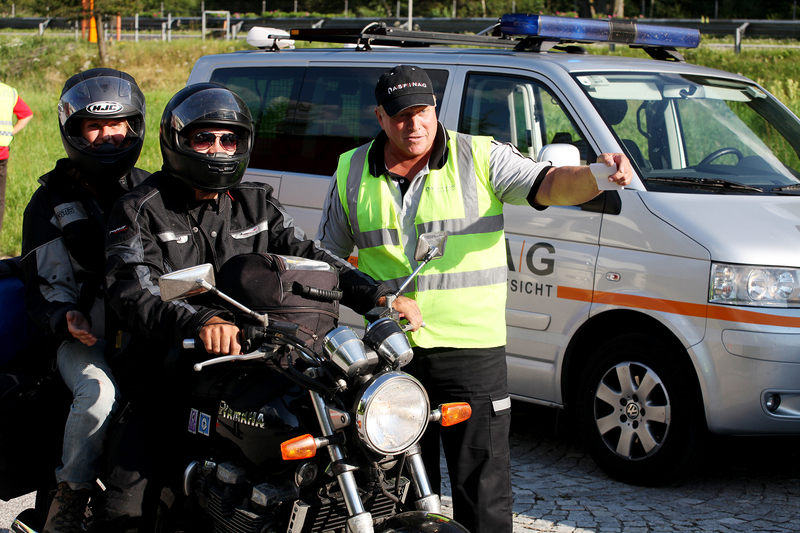 Regular controls throughout Austria ensure that the car and lorry toll for motorways and expressways has been paid. That's what the staff at Service and Controls (Service- und Kontrolldienst, SKD) are responsible for. 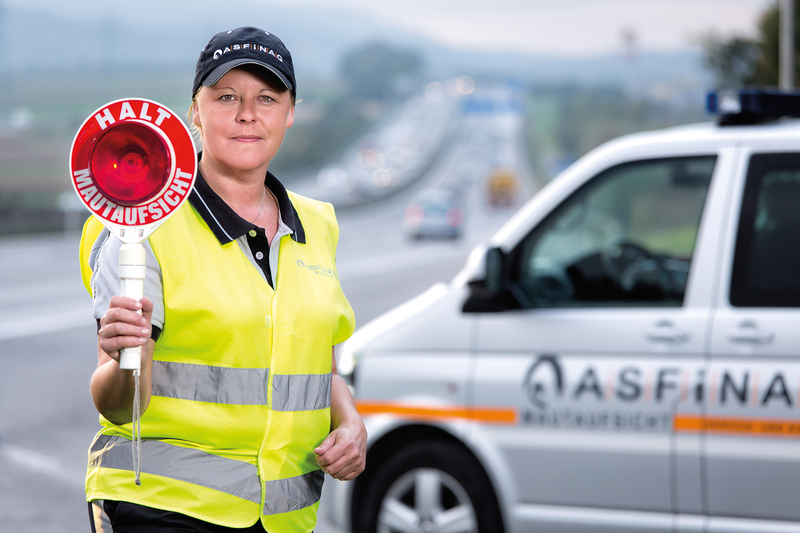 Across Austria, some 100 SKD staff carry out toll controls on motorways and expressways. But that's not all they do. 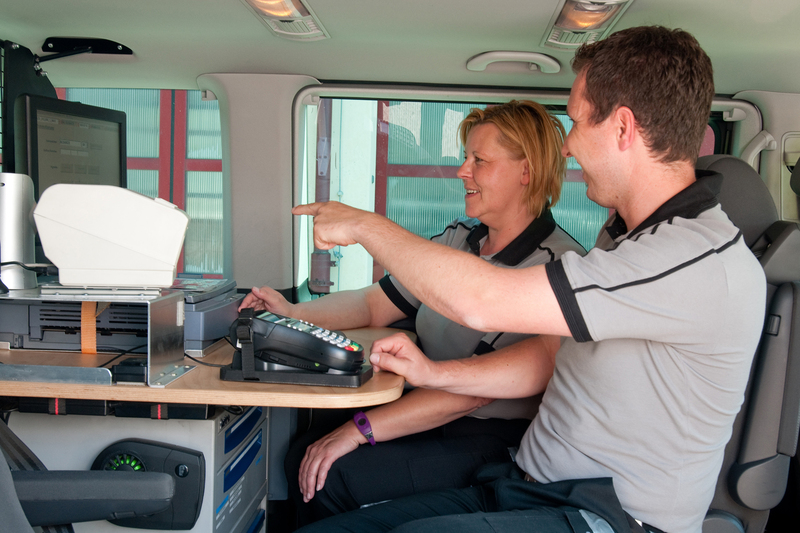 During their control rounds the SKD staff are there for all ASFINAG customers to provide help, advice and information : They provide breakdown service on a daily basis and the SKD staff also perform first aid. 98 percent of all drivers pay their toll correctly. Only two percent drive without a valid toll sticker or GO-Box. Drivers must be stopped by a clearly visible or audible signal – for example flashing blue light, handheld signalling disc or illuminated letters on the rear of the control vehicle. 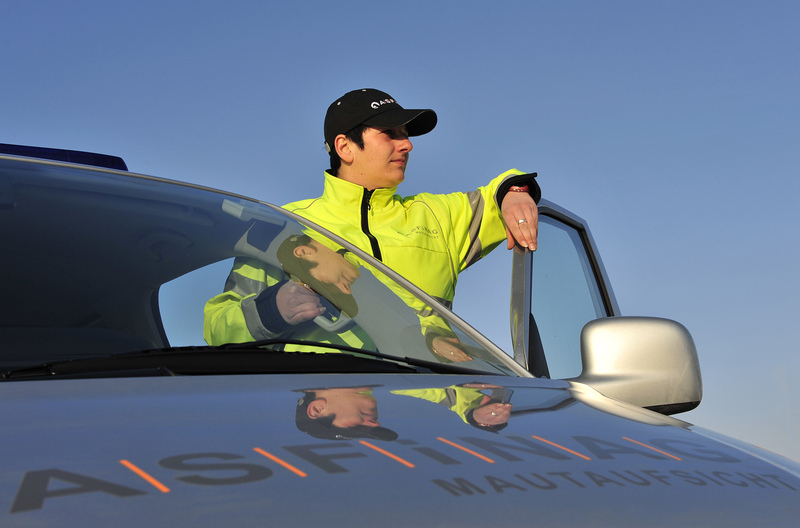 Members of the SKD team have the right to check the identity of the driver and the holder of the registration certificate – for example by requesting to see an official photo ID. They can charge a toll fine and, if necessary, they can take steps to prevent the driver from driving on (for example by applying wheel clamps or confiscating car documents). If the customer refuses to pay the toll fine, administrative criminal proceeding may be initiated. Non-payment of the fines incurs heavy administrative penalties of between 300 and 3,000 euros. Toll dodgers are given the opportunity to pay the toll within five hours and 100 kilometres (for example at a GO outlet). They have to pay the toll fine only if they fail to do this. If the toll fine is not paid, administrative penalties between 300 and 3,000 euros are incurred. All SKD staff members are well trained. The eight-week training course takes place in the education centres of the police corps. For five weeks they focus on theory, and a sixteen-hour first aid course expands their first aid skills. The practical part starts in week six, when they get out into the streets and have direct contact with customers. An official exam concludes the training for the sworn-in toll control staff. In addition to the manual control, toll stickers are monitored using cameras. If for reasons of road safety the toll control staff cannot stop vehicles, automatic toll sticker monitoring (AVK) is used (for example on multi-lane urban motorways). Nine camera systems are currently in use. The locations of the mobile devices change every seven to 14 days. The camera housing is installed above a traffic lane, from where it checks vehicles of 3.5t maximum permissible weight. The recording system identifies vehicles without a valid toll sticker. In suspected cases only, the system records and stores a large image that includes the number plate and a detailed image of the windscreen. The staff at the ASFINAG Enforcement Center then check these images again manually to make sure they are accurate.